MMU has the strange, parody vibe of making fun of the crappy USA Mega Man stuff of the 80's. It's weird. Really weird. Ugh... I still can't get over how big of a waste of time Comic Con was. I'm severely disappointed at how Inafune pretty much kept people in suspense over nothing. Well there is still a second conference Saturday Krazy Monkey, so you never know. 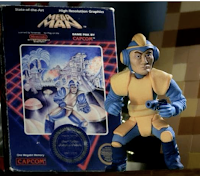 I wonder if they're not using Megaman to specifically refer to the character but rather, a "Mega" Man, as in which character will survive, kinda thing. Just a thought..
People are still going to call it "Universal Capcom Rockman: Threat from other franchises?!". MegaMan 1 US cover art RockMan... actually doesn't look that bad there. 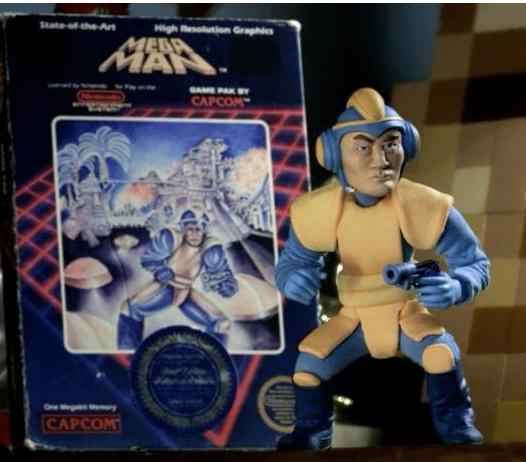 Japan always associates the name "Mega Man" with the crappy, macho artwork from the late 80's, early nineties. Calling the game MEGA MAN Universe seems to indicate the game might simply be a parody of that USA 80's look, and perhaps it'll even be reflected in the artwork and graphical style. I noticed something strange. It's the Japanese website, right? Yet it's not being called RockMan Universe anywhere. It's even written in katakana as MegaMan Universe. What's going on? Right. This was mentioned in the post.